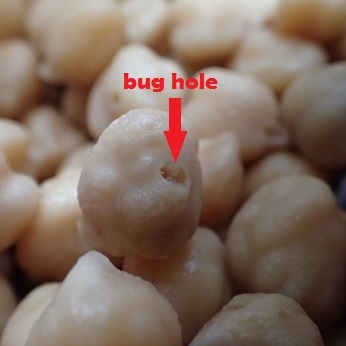 where a bug bore in. The Isabela Galapagos inspector spent a lot of time shaking his head over our pre-Galapagos bug-bombing “self-inspection” and explanation. The norm is to get a professionally applied pesticide treatment the port before Galapagos and present a certificate. We are cheap and figured what was the difference between us bug-bombing our boat and a professional, besides $65+ and a piece of paper? He eventually passed us, though he was clearly uncomfortable about it. 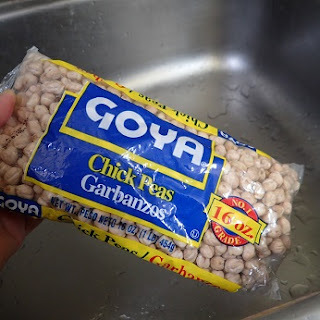 Garbanzos from Galapagos, with some undesired "extra protein." The real issue for us wasn’t what pests we brought in to Galapagos, but the ones that were most unwelcome stowaways. We’re not sure precisely what they were (see image a little further in this post). They weren’t weevils, ants, or pantry moths (click here to read about the last of our pantry moth invasion). They were black and tiny – only about ¼” long and a third as wide. If they were cockroaches, they were tiny ones, that stayed tiny, and slow moving, thankfully. If you know what they are – please let me know, to better warn others more specifically. But there were a LOT of them. Wayne periodically counted how many he killed in day, and at one point he killed 30 in a short time. Counting them would gross me out that much more, so as a general rule I refused to. I will go out of my way to relocate spiders, and am a bit too cavalier about my general boat housekeeping, but bugs that eat my food, as un-Zen as it may be, if they persist in quantity, my approach is pure genocide. Eventually I traced them to three sources. All of them were local, unbranded products which came and remained in unsealed bags purchased in Isabela Galapagos. 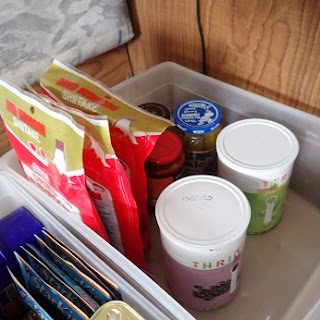 Most of my at risk of infestation foods (click here to read about past infestations) are in secure containers*, but given space constraints, sometimes that doesn’t happen. Regretfully, this was one of those times. The three sources of infestation were white rice, garbanzo beans (used for hummus - click here for my recipes), and dried hominy (for the Mexican soup, posole [also known as pozole] -- click here for my recipe). There were more moving black critters in them then you’d find white “snow” in a shaken snow globe. There was powder, too, where they’d eaten into or out of and hatched from its contents. Interestingly, the branded, sealed but merely plastic bagged white rice, dried garbanzo beans, and dried hominy were completely unaffected by the invasion. And there’s no sign of them infesting anything else, such as other kinds of dry beans and dry lentils, even if it too was less securely sealed. Ewwwww! Later may add a video of these guys. Getting rid of the critters was an even more disgusting process than taking them out one by one when they appeared. The sheer sight of so many writhing vermin alone was momentarily stunned me with revulsion. Plus, I didn’t want to douse the boat with pesticides while we were inside and often the bugs were escaping over fabric covered cushions which would not fare well with insecticide or bleach. First I grabbed a securely sealable container large enough to enclose the food package they’d infested. Then I grabbed my tongs, tossed the package inside and sealed it shut. Then quick as I could, nailed the crawlers with whatever worked – my fingers, paper towels, wetted sponges or handiwipes…. Next I cleared the cupboard where the infestation occurred of all its contents, temporarily relocating them to the cockpit. After that I sprayed the emptied cupboard with bleach water and thoroughly cleaning it. I left the cupboards open for several hours, keeping a sharp eye out for formerly lucky escapees and eliminated them, too. The other cupboard contents were washed and wiped, killing more strays in the process, then, eventually returned to their proper place. The contained critters were submerged in a bucket of saltwater, their contents slowly opened underwater. The containers were swished in the bucket repeatedly to clear them of their inhabitants then set aside. The bag of infested food was torn open underwater in the bucket and also rinsed rinsed repeatedly. The bucket was repeatedly refilled, under the cover of darkness, its contents (less the plastic) dumped overboard until everything was bug-free. Cupboard organization, a benefit of bug purging. 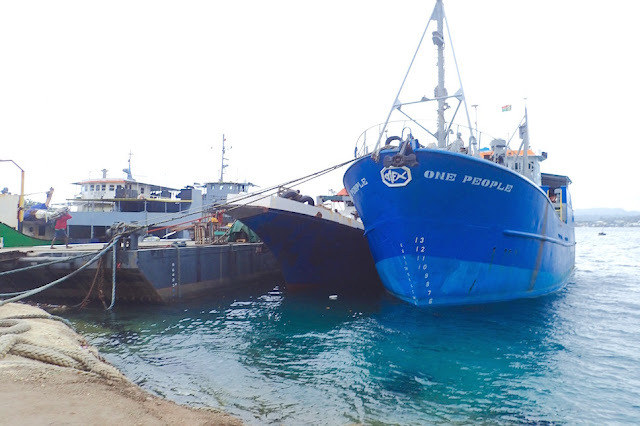 In Suwarrow, we heard other boats were also plagued with infestations from products purchased in Galapagos. As well, at least half of the eggs we purchased in the Galapagos spoiled and needed to be discarded as well and we heard of other cruisers who fared far worse with theirs. Other than better fresh produce than we expected, viable frozen chicken, decent cold beer and cheap quinoa grains, our Galapagos restocking was at best, disappointing, especially at the Soggy Paws Compendium lauded Albatross Market. The moral of the story: beware unbranded, unsealed products and if possible, secure them in an inescapable container*. If not, monitor them closely and undertake full and thorough combat ASAP. *A secure container is a locked down Tupperware-esque container. Most of mine are Lock&Lock brand and they’re so secure you could store soup in them upside down, no problem. 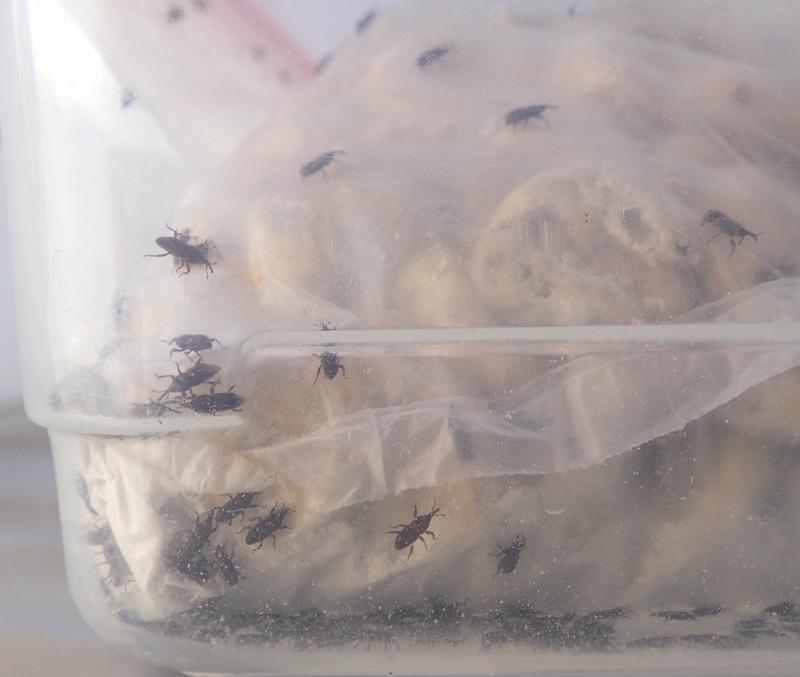 Weevils in particular are able to “drill” through sealed plastic store bags and closed Ziplock bags. Cleaner, more orderly cupboards and a better inventory of provisions to use. And once again, may this blog spare you a repeat of our unpleasant experience or at least appreciate that along with cruising’s spectacular highs, there are some lows. This was one of ours. bug purges are best consummated under the cover of darkness. 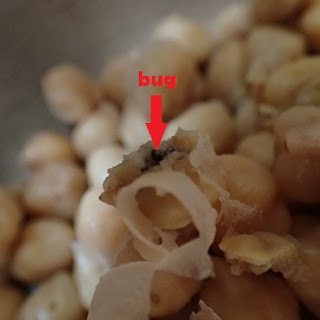 The bugs originated in Galapagos(S0.57.924 W90.57.750) at were finally eliminated and this post was written (we hope!) 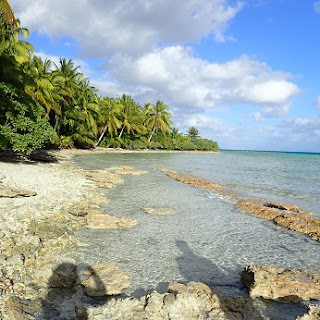 while we were in Suwarrow, Cook Islands (S13.14.907 W163.06.470). 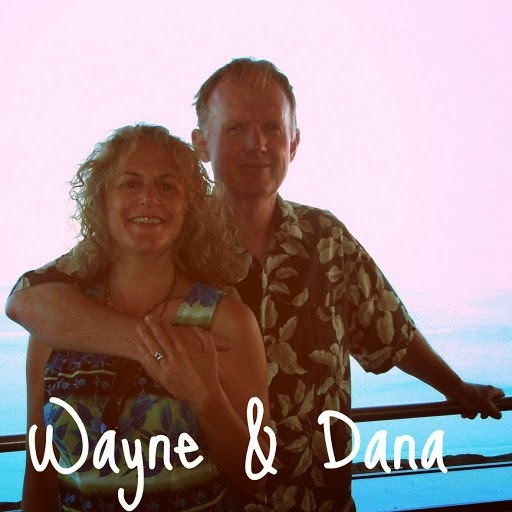 This blog was posted in Pago Pago, American Samoa (S14.16.472 W170.40.456), where we're currently anchored. Tonga is our next stop.